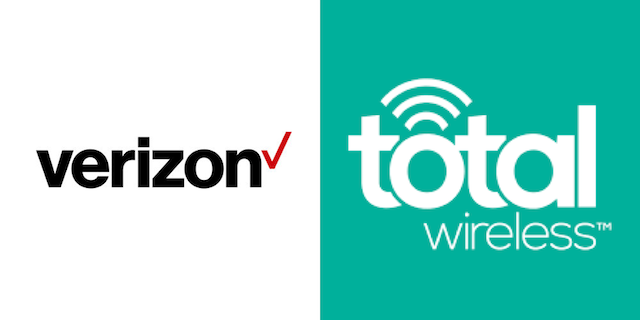 Should I Switch From Verizon to Total Wireless? I’ve been a Verizon user for nearly 20 years. I’m considering Total Wireless. I’m concerned about using Google Maps, etc for gps via my phone. I use it frequently and don’t want to need the gps feature and not have fast enough speed. I live in a fairly large city and am not as concerned about that, but am concerned if visiting in more rural areas where I may need to rely heavily on gps. Interested in feedback regarding others’ experiences. I haven’t tried Total Wireless myself, but I have tried Straight Talk’s verizon network which is also has the same maximum 5 Mbps as Total Wireless. And, because Total Wireless and Straight Talk are both owned by Tracfone, I’d feel comfortable saying the experience using the two services should be similar. As for your concerns about the speeds, Google doesn’t publish the required data connection speeds needed for Maps but a 5 Mbps connection is fast enough for streaming video. According to Netflix, a 5Mbps download speed is fast enough to watch HD quality video. YouTube doesn’t publish specific internet connection speed requirements they state you can watch YouTube with as little as a 500Kbps down and higher quality or premium content with as little as a 1 Mbps connection. As streaming video requires way more bandwidth than Maps, I think is safe to say it will be more than fast enough. Also, you may not be aware of it, but you can download google maps to your phone. This would eliminate any problems with data speeds and it would also help you conserve your cellular data allowance. I did want to caution you about using prepaid service in rural areas. In some rural areas, Verizon may not have great network coverage. Sometimes they have an agreement with a regional wireless company to carry their traffic. If this is the case in the areas you visit, you may have coverage using Verizon post paid, but not any prepaid service that is using Verizon’s network because Verizon does not have a business arrangement with the regional company to carry the traffic. Now, I don’t say that to discourage you from signing up for prepaid service, I’m just letting you know what I’ve heard from several readers over the years. It really depends on the rural area. You didn’t mention which phone you are using nor how much you are spending per month with Verizon. If the network speed or the other advanced features of Verizon’s network are important to you (Wi-Fi calling, HD Voice, etc) then you might want to consider Verizon’s own prepaid wireless service. See Signing Up For Verizon Prepaid Wireless. Also note that signing up for prepaid wireless service is a somewhat Do It Yourself (DIY) solution. There isn’t any in store support for Total Wireless. Phone support isn’t going to be up to same level as Verizon’s. Now, all that said, you can always try a prepaid service and go back if you don’ like it. I hope this helps and feel free to ask more questions. Please let us know what you decide and how it works out for you. Hope you saw my reply in the YouTube comments. would have been the same as Verizon Postpaid. during wildland fire season. The people I work with mostly have Government supplied (postpaid) Verizon and get a great signal when I did not. In any case I’m better off due to hotspot, rollover data, and a better throttled speed if I exceed my data allowance. Thanks for all the comments and updates today. Based on other readers experience, the issue is when Verizon’s own network doesn’t have coverage in a rural area. Sometimes they work witha regional network to provide coverage. In those cases, readers report that post paid works and prepaid does not. I’ve primarily heard this from Straight Talk customers. Not sure what the state of this is in 2017 for Verizon’s prepaid.